Our landscaping waste bins make getting rid of landscaping waste easy. Any type of landscaping project creates large of amounts of waste, from grass clippings and leaves to mulch and excess rocks and dirt. Instead of leaving this material on the landscaping or piling it into the home or business’ standard waste bin, landscaping waste bins offer a useful, efficient, and convenient way to dispose of this waste. Here at Guaranteed Services, we want to make your next landscaping project a success, and our landscaping waste bins offer a way to do this! 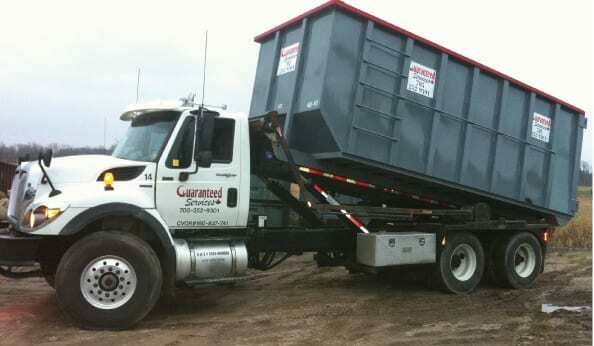 Renting one of our landscaping waste bins for a project in Collingwood, Ontario, no matter how large or small, is easy. After making your reservation, we’ll drop it off at your home or business and haul it away after you’re done, disposing of the waste in the proper manner. We suggest landscaping waste bins for home renovations, excavations, landscaping projects, and new builds. Let us know what type of project you’re doing and what you need to dispose of, and leave it to us to take things from there. 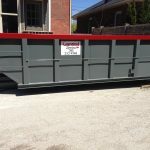 We’ll recommend the right size bin for your project and provide an estimate for what it will cost, so you can plan your budget accordingly. We’ve been supplying our customers with landscaping waste bins for over 20 years, and we’ve made great service the foundation of our business. To find out more about our waste bin rental options or to order a bin, get in touch with us today!